* Free shipping on $35 or Free shipping to your store. * Choose in-store pickup to save on shipping or free shipping on $35. * $21.99 - Auto 20% off in cart = $17.59. * Shipping is $15 or Free shipping for Plus members. Seize the deal before it’s gone. 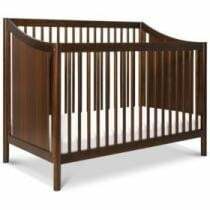 Check out $50 off Carter's by DaVinci Hayley 4-in-1 Convertible Crib at Sam's Club now. Find more discounts and offers from Sam's Club just at CouponAnnie in April 2019. Seize the deal before it’s gone. Check out 26% off For Keeps 25530 Baby Doll Walker w/ Play Accessory for Dolls at Groupon now. Find more discounts and offers from Groupon just at CouponAnnie in April 2019. Seize the deal before it’s gone. 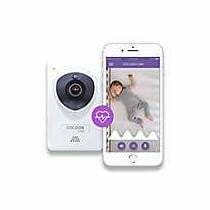 Check out $20 off Cocoon Cam Plus Baby Monitor w/ Breathing Monitoring at Buy Buy Baby now. Find more discounts and offers from Buy Buy Baby just at CouponAnnie in April 2019. Seize the deal before it’s gone. 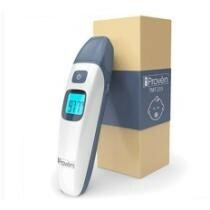 Check out 40% off Baby Forehead & Ear Temperature Thermometer at Alphabet Deal now. Find more discounts and offers from Alphabet Deal just at CouponAnnie in April 2019. Seize the deal before it’s gone. 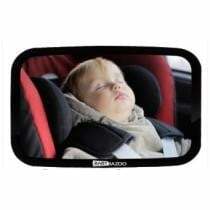 Check out 37% off Top Rated Baby Car Mirror at Alphabet Deal now. Find more discounts and offers from Alphabet Deal just at CouponAnnie in April 2019. Seize the deal before it’s gone. Check out 50% off Travel Tray at Groupon now. Find more discounts and offers from Groupon just at CouponAnnie in April 2019. Seize the deal before it’s gone. 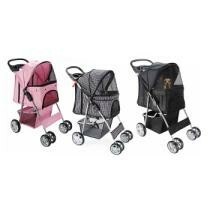 Check out 40% off Foldable Twin Baby Double Stroller Kids Jogger Travel Infant Pushchair at Groupon now. Find more discounts and offers from Groupon just at CouponAnnie in April 2019. Seize the deal before it’s gone. Check out 17% off GoGoVie Premium Baby Carrier at Groupon now. Find more discounts and offers from Groupon just at CouponAnnie in April 2019. Seize the deal before it’s gone. 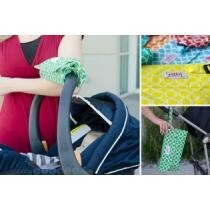 Check out 50% off GoGoVie Premium Baby Carrier Cover at Groupon now. Find more discounts and offers from Groupon just at CouponAnnie in April 2019. Seize the deal before it’s gone. 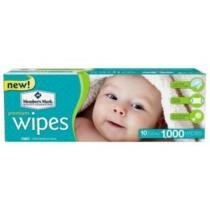 Check out 40% off Member's Mark Premium Baby Wipes - 1,000 ct at Sam's Club now. Find more discounts and offers from Sam's Club just at CouponAnnie in April 2019. Seize the deal before it’s gone. 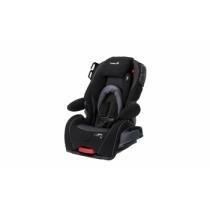 Check out 28% off Safety 1st Alpha Omega Elite Convertible 3-in-1 Baby Car Seat at Groupon now. Find more discounts and offers from Groupon just at CouponAnnie in April 2019. * See discount in cart! * Free Shipping on $49. Seize the deal before it’s gone. 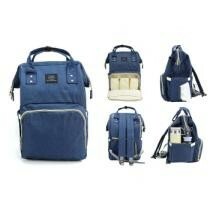 Check out 64% off Diaper Bag Mommy & Baby Large Multi-Function Backpack at Groupon now. Find more discounts and offers from Groupon just at CouponAnnie in April 2019. Seize the deal before it’s gone. Check out 67% off Kids Car Seat Belt Shoulder Head Support Neck Sleep Cushion Pillow at Groupon now. Find more discounts and offers from Groupon just at CouponAnnie in April 2019. Seize the deal before it’s gone. 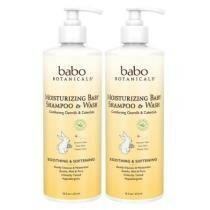 Check out 10% off Moisturizing Baby Shampoo & Wash Bundle at Babo Botanicals now. Find more discounts and offers from Babo Botanicals just at CouponAnnie in April 2019. Seize the deal before it’s gone. 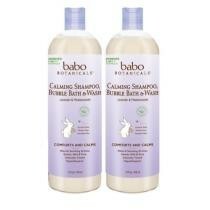 Check out 12% off Calming Shampoo, Bubble Bath & Wash Bundle at Babo Botanicals now. Find more discounts and offers from Babo Botanicals just at CouponAnnie in April 2019. * Just the Right Bite: Combining the patented CamelBak Big Bite Valve with a stem tube and shut-off valve, this detachable one-piece component is simple for kids to use and simple for parents to clean. * Never Spill: Easy for small fingers to operate. * Safe and Easy: Simplified stem and straw are child-safe yet easy to remove for cleaning. All parts are dishwasher safe (top rack only). * Stain-resistant and taste-free Tritan is 100% Free of BPA, BPS and BPF. Kid-sized, fun and easy to clean, this bottle is ready for any adventure. * Not suitable for children under 3 years. Seize the deal before it’s gone. 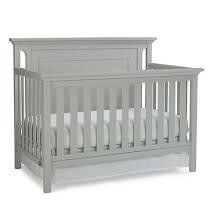 Check out 31% off Ti Amo Carino 4-In-1 Convertible Crib - Misty Grey at Buy Buy Baby now. Find more discounts and offers from Buy Buy Baby just at CouponAnnie in April 2019. Seize the deal before it’s gone. Check out Up to 35% off Medela Breast Milk Storage Solution at Groupon now. Find more discounts and offers from Groupon just at CouponAnnie in April 2019. Seize the deal before it’s gone. Check out Up to 66% off 4-Wheel Pet Stroller at Groupon now. Find more discounts and offers from Groupon just at CouponAnnie in April 2019. * Star Wars is the most famous story in the galaxy! It has become the ultimate in sci-fi fantasy and second to none in popularity. With time fans will gravitate to either the the jedi force or the dark side. This is the perfect back to school choice for any Star Wars fan! * This romper's ready to flamin-go anywhere! * Zoom into some ZZZs with this stretchie! * Please note: for child's safety, garment should fit snugly. This garment is not flame resistant. Loose fitting garment is more likely to catch fire. * Roses are red, violets are blue, she'll love this dress and you will too! Seize the deal before it’s gone. 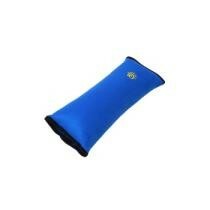 Check out 50% off Smitten Baby Mommy Clutches & Padded Arm Rests at Steals now. Find more discounts and offers from Steals just at CouponAnnie in April 2019. * See price in cart. * Brought to you by the brand you love and trust, Ergobaby?s Four Position 360 Carrier offers you the ultimate in flexibility of wearing your baby in the ergonomically supported front -inward, back, hip and now front-outward carry positions. * The Ergobaby Four Position 360 Carrier?s innovative design features a structured bucket seat to support your baby in an ergonomic seated position and for recommended hip and spine positioning. The revolutionary carrier seat is designed with buttons for an adjustable width that grows with your baby to ensure comfort and ideal hip positioning in all four carry positions. * The carrier features an adjustable back panel to provide added height and neck support for your baby with a stowable hood to support baby?s head while sleeping, protect baby from sun and offer mom privacy while nursing. * The Four Position 360 Carrier also features a newly designed waistband that easily and securely fastens with velcro and can be worn high or low on the waist for wearer comfort and provides extra support for the lower back. * The Ergobaby Four Position 360 Carrier is usable from day one with your newborn with an Ergobaby Infant Insert (sold separately & for babies 7-12lbs/ 3.2-5.5kg) and up to 45 lbs. * Kids in motion tend to stay in motion, and active kids need a shoe that will stand up to all that movement. The Kids'' 750v3 features a performance upper, IMEVA midsole for cushioned support, and sculpted midsole with visual technology that''s ready for all-day play. Keep on the move with the 750v3. * Free Shipping for Many Items. * Your little one will protect Supreme Leader Snoke in style with this soft fleece hoodie inspired by the armor of his Elite Praetorian Guard. The zip-front crimson design features embroidered details and a printed mesh helmet lined in the hood. * Command legions of First Order stormtroopers with our Captain Phasma Voice Changing Mask. Hear her phrases or sound just like her as you make up your own galactic missions. Seize the deal before it’s gone. 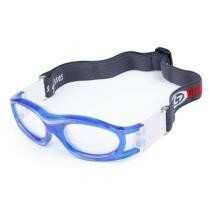 Check out 15% off 0860-01 Protective Sports Goggles Safety Basketball Glasses for Kids w/ Adjustable Strap Blue at Sunsky Online now. Find more discounts and offers from Sunsky Online just at CouponAnnie in April 2019. * Shipping is $4.99, or free shipping on $35.Note: you must enter your Costco Membership Information (Name & Card Number) in order to purchase from Costco on Google Express. Seize the deal before it’s gone. 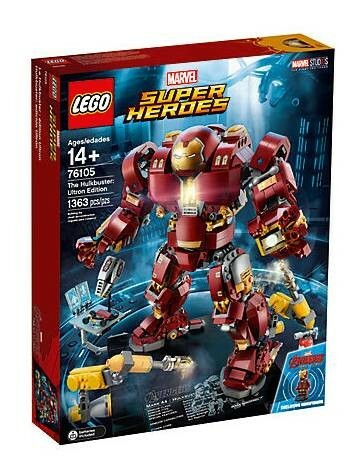 Check out Lego The Hulkbuster: Ultron Edition + Lots of Freebies $119.99 at LEGO now. Find more discounts and offers from LEGO just at CouponAnnie in April 2019. Seize the deal before it’s gone. Check out $3.99 Barbie Star Light Adventure Junior-Sized Doll, Purple (vs. $5.99) at Mattel Shop at Mattel Shop now. Find more discounts and offers from Mattel Shop just at CouponAnnie in April 2019. * $99.99 - $25 off code (click "use online" and use the code at checkout) = $74.99. 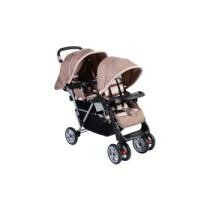 * The most versatile Stroller! With 12 riding options, from infant to youth, your kids will love getting out and about. The Ready2Grow(TM) Click Connect(TM) Stand and Ride Stroller accepts two Graco(R) SnugRide(R) Click Connect(TM) Infant Car Seats (sold separately), America's number 1 selling infant car seats (sold separately), has a standing platform and bench seat for your older child, and a removable Face Time(TM) rear seat for some bonding time with baby! * The Chicco NextFit iX Convertible Car Seat fits your vehicle and fits your child with proven SuperCinch Latch functionality and a new LockSure vehicle belt-tightening system, plus easy-to-use adjustability designed to comfortably accommodate growing children from 5 to 65 pounds. NextFit iX Zip also features a zip-off seat pad for easy cleaning. NextFit iX features a ReclineSure leveling system and RideRight bubble level-indicators to help achieve and verify proper angle in the vehicle seat. With nine recline positions, ReclineSure is designed to accommodate a wider range of vehicles in both rear-facing and forward-facing modes. For installation with Latch, premium connectors and a SuperCinch force-multiplying tightener help achieve a secure fit with a fraction of the effort. (When it's time to switch from rear-facing to forward-facing, the Latch strap passes easily through the built-in slide path for proper re-positioning). For installation with the vehicle seatbelt, clear belt routing and LockSure lock-offs make it easy to position, tighten and lock the belt into place. NextFit iX is engineered to last from newborn through preschool with built-in "fit-ability" for every stage, including a removable newborn positioner and smooth one-hand headrest adjustment with nine positions. As the headrest is raised, the harness shoulder strap position also raises and widens to accommodate growing children without re-threading. The 5-point harness features an easy-pull, force-multiplying tightener and removable, machine-washable shoulder pads. NextFit iX is designed for use from 5-40 pounds in Rear-Facing mode, and from 22-65 pounds in Forward-Facing mode. 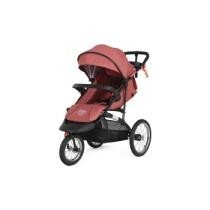 * The CYBEX Agis M-Air stroller embodies the ultimate driving enjoyment. The urban runabout is lightweight and agile but still offers exceptional comfort. Its compact size makes it easy to navigate, and the uncomplicated one-handed folding system makes it the perfect companion for use in the city. With lightweight, never-flat wheels and an easily maneuverable frame, the CYBEX Agis M-Air stroller, in your choice of M-Air3 wheel or M-Air4 stroller, suits pavements perfectly. The reversible seat allows your baby to face forward or keep baby facing you, so you can make silly faces and giggle at each other. The adjustable handlebar is easily adjustable to fit the height of any parent, friend or family member taking baby for a walk. The all-terrain wheels will never go flat with the EVA foam fill in the front tires and PU foam fill in the back. On sunny days, extend the extra-large canopy to provide sun and wind protection, but keep an eye on baby with the see-through ventilation window. When you're out shopping, take advantage of the extra-large shopping basket and easily open up the bumper bar for quick access to baby. It is easy and quick to fold the stroller using the lift-and-fold technique. The frame is free-standing when folded, and can be stowed away compactly at home or while out and about to save space. Kids are expensive. From the baby gear to the toys to many kid essentials, consider buying them online. Before spending the money, try searching for Babies & Kids deals because you wan to increase your savings while keeping the kids happy. On this babies & kids deals page, you can easily narrow your search and get the best children's deals by category, store, brand and price. There's a nice picture of each product and key discount information, including the original price, sale price and price drop percentage that tell you whether this deal is worthwhile. Check out all these babies & kids deals to keep the kids and your bank account happy. CouponAnnie brings fresh and working deals for millions of mothers. We know how to save and that’s why we have the best shopping discounts. 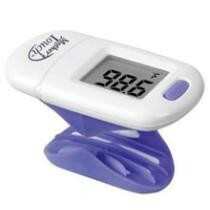 These discounts include savings on diapers, bathing & skin care, baby feeding, nursery, baby gear, pregnancy products, baby stationary, baby food, strollers, baby lotion, baby monitors, playmats, bottles, sleep sacks, diaper bags, high chairs, jumpers, footwear, toys & gaming, car seats, clothes, and many more. And don’t forget the coupons! Take CouponAnnie's baby free shipping deals, BOGO promotions, cashback offers, flash sale, clearance sale, free samples and freebies, printable coupons and sitewide offers to make your dollars stretch even further. What’s more, you can find desired items from top-class stores like buybuy BABY, Babies R Us, Pampers, iBaby, Modern Nursery, Carter’s, Diapers.com, Bazzle Baby, Baby Depot, Baby Gap, Little Keepsakes, BabyAge, Baby Bedding Zone, QVC, Pottery Barn Kids, Mamasan Maternity Clothing, Kiddy Winks, GoGreenDiapers, Bambino Mio, SewBaby, Great Beginnings, Just Diaper Bags, Pampered Tot, among many others. Also take advantage of unbeatable savings from all your favorite baby brands like Britax, Graco, Gerber, Ganz, Emmababy, Hotone, Earth's Best, Summer Infant, Nuby, Plum Organics, Susen, Fisher-Price, and more. Pick a store or a brand and we'll show you the best offers. If you shop online, make sure you read the return and exchange policies on retailers' sites. And to make sure you're getting a good deal, search CouponAnnie for a coupon code or promo code that will let you save some extra bucks. But exclusions may apply sometimes, and discount applies to selected products or categories. Read them carefully, too. Next time you search for Babies & Kids deals, make sure you come to CouponAnnie first. We are confident that we have the best babies & kids offers for your little ones.